At last, the horse training treat that has been used privately for almost 10 years is being made available to the public! This unique blend of natural ingredients is designed to be consumed by the horse quickly so that the next activity or exercise can be resumed in a timely fashion. 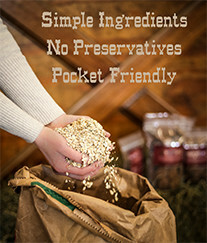 Nicker Nickels horse treats are not too hard so they can be easily divided into parts and not too soft so they stay intact in your pocket. Nicker Nickels is just right in its consistency so no sticky residue is left on your hands. 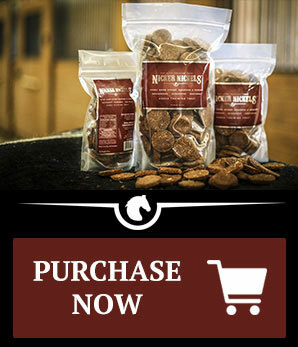 Nicker Nickels is one of the best practical and affordable horse treats on the market today because it was designed with training in mind. And when you think about it……every time you are with your horse, training is occurring in some shape or form. We know you and your horses will enjoy Nicker Nickels as much as we have! PLUS... you actually Purchase with a Purpose! 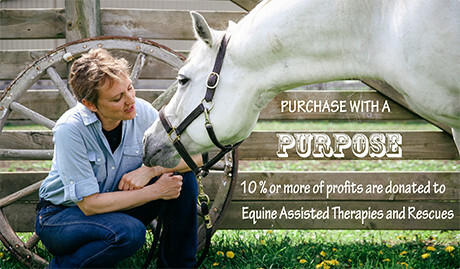 10% or more of profits are donated to Equine Assisted Therapy programs across the United States.